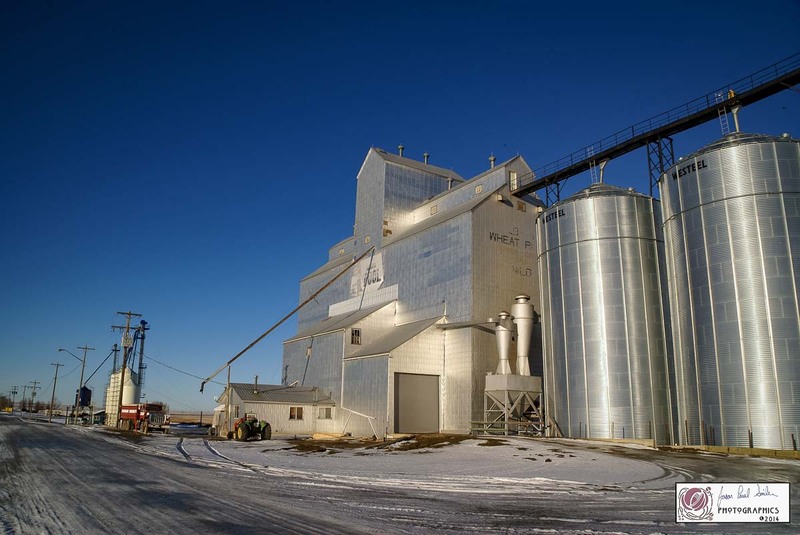 Milo, AB grain elevator, December 2014. Contributed by Jason Paul Sailer. 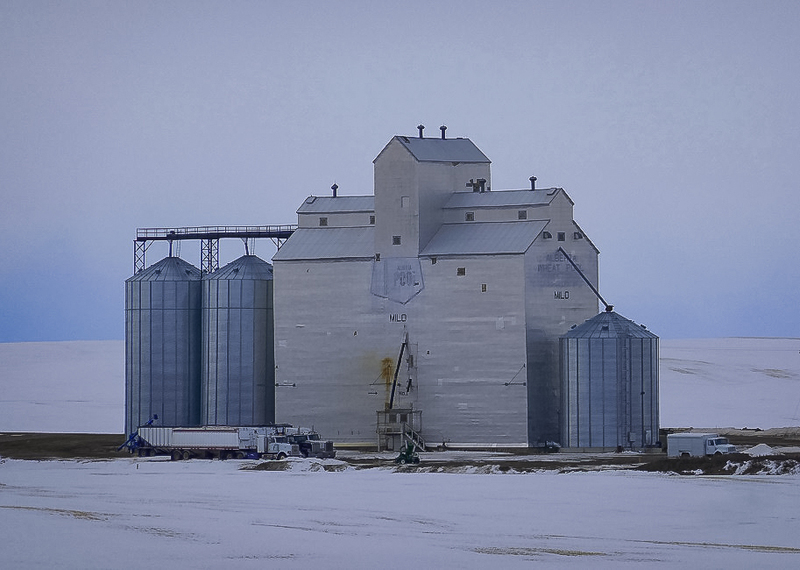 Milo, AB grain elevator, April 2018. 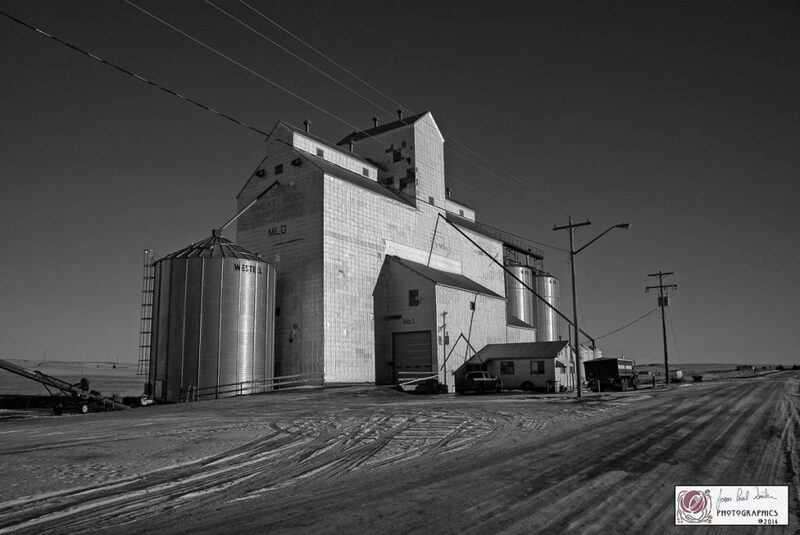 Copyright by Michael Truman.